Very excited to get my two new book projects out into the word this week. I am grateful as always for the support from my friends, family and fellow artists. This project has been kicking around for months and months, but it wasn’t until a return to Naples in December that I was able to really focus on the thrust of this work. It was the return visit to Italy that really clarified things for me, and what ultimately pushed me to produce two separate books of photos. From a design standpoint, the book layout was a bit of departure for me. First of all was the decision to include both color and black and white photos throughout the book. Breaking that self-inflicted barrier was a huge leap of faith for me. I also worked with a very different “grid” for the pages. Instead of simply dropping in one photo per page, I really explored combining photos of different sizes in a spread, as well as using two, three or four images per spread. I found this both challenging and liberating. The ball is rolling, the die has been cast. Beware the Ides of March. I spent a good part of this week in Los Angeles for work. More specifically, I spent three days at LAX. It turned out to be a good place to let the lens of my iPhone wander. There is a nice geometry to the airport, which serves as interesting backdrop to the parade of thousands of people heading off to wherever they may be jetting off to. I’m very excited to share my newest project, and it’s a double whammy of great news. First off…I am now taking pre-orders for my newest self-publishing effort, “Rodeo Nights.” The book is 60 pages, self cover, perfect bound. It features gritty black and white photographs from the rodeo at the New Mexico State Fair. I shot the images over the span of four years. It’s a no holds barred look behind the scenes of the rough and tumble world of rodeo, as only a self-proclaimed "city slicker" can see it. I’m setting this up as a pre-order: purchase now to ensure a mid-December delivery. You can get all the sale details by clicking this link to get to my online store. Part 2 of this announcement is something I am really proud to reveal. The “Rodeo Nights” release coincides with my first international solo exhibition, coming in December at the Magazzini Fotografici in Naples, Italy. I’m hoping that all sales of the book will help offset the cost of traveling to Italy for the opening of the exhibition on December 21st. I will most certainly be sharing more details about the show as the date gets closer, but I am thrilled beyond belief to have the opportunity to show my work in the country of my familial roots. I hope you will consider supporting me by purchasing the book, and thank you in advance for helping me continue the pursuit my photographic dreams. Rodeo Nights is heading to Naples, Italy! Yesterday was my birthday, but today you get the gift. I've been playing around with the images from my most recent zine, and decided to do a "re-mix." I wanted to capture the dirt and muck of the streets of NYC, at least the way I remember them years ago. I had Lou Reed on my mind (and in my headphones) as I worked on these images, hence the edition name. As a way to say "thanks" to all of you for supporting my creative endeavors, I'm making my re-mix version available for free as an e-zine. Click on the image below for a look at the layout, and to download your own copy, gratis. 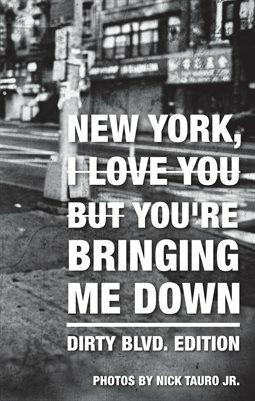 A scuzzed up version of my latest NYC zine, free to download. If you really like it and want to purchase a physical copy, I've set up sales on MagCloud. Link to purchase is below. A "scuzzy" version of my most recent New York zine. Looks like it was dragged through the gutter. Pretty much how I felt when I was shooting these images. Channeling the ghost of Lou Reed. Very excited to announce the release of my next zine. Those of you who know me, probably aren't surprised to hear that I have a love / hate relationship with New York City. This latest release takes a big bite of the Big Apple, "don't mind the maggots." The bright colors of photos are at odds with my attitude this time around. Nevertheless, I found the process of putting together this zine quite cathartic. 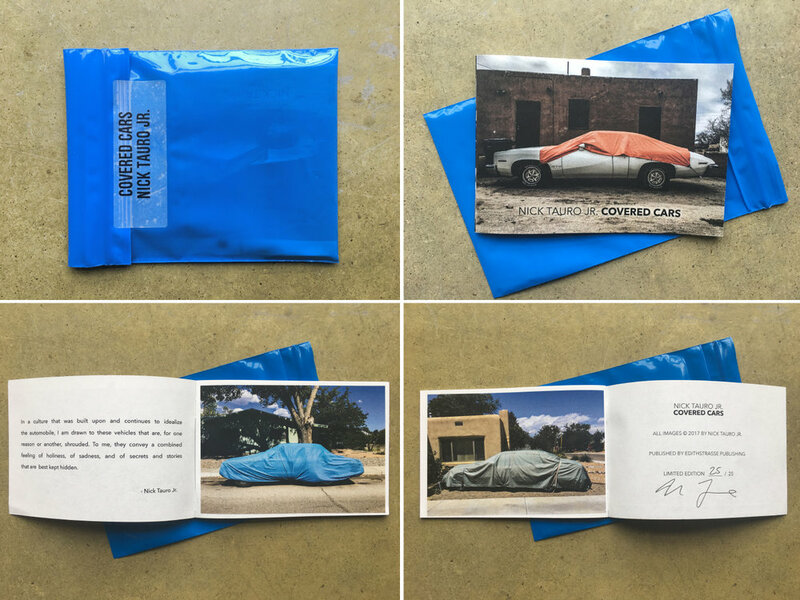 The zine is a 24 page, self-cover, perfect bound 5.5" x 8.5" booklet. Quantities are extremely limited, so don't delay, if you want one, grab a copy now. Available at my online shop. Special shout out to Zé Manel Pinheiro at Photographic Mercadillo for first presenting this body of work. You can see the whole series on my website as well. "check the expiration date, it's later than you think." I am happy to announce the release of my new zine. 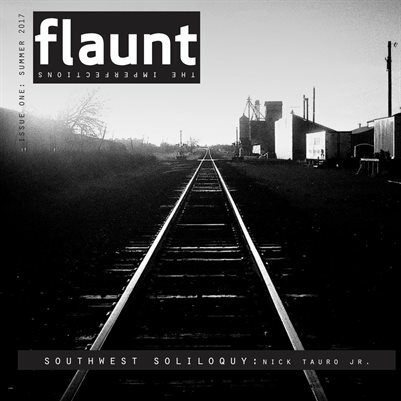 Issue #3 of my film-based photography zine "Flaunt The Imperfections" is available for purchase today at my website shop. The photos featured in this issue were created in 2017, during a trip from New Mexico, through Arizona, into the Salton Sea area of Southern California, before rolling briefly into Los Angeles... and a long drive home along the remnants of Route 66. The title of this series is "Expiration Date." There are several reasons behind this choice. 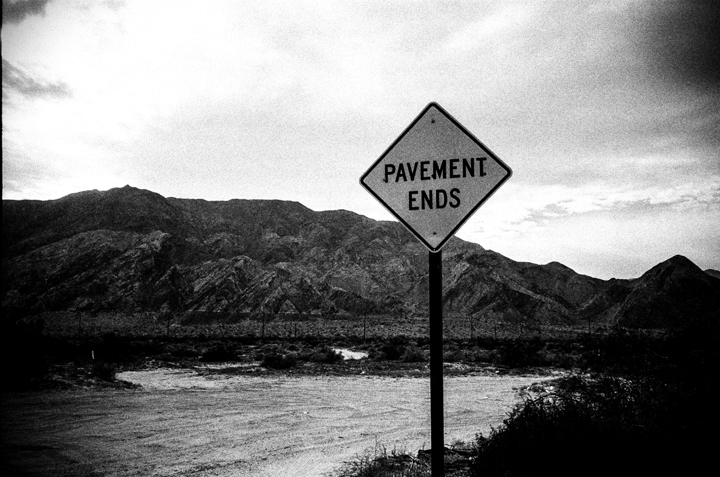 First off, I listened to the entire Pavement discography while making my solo trip through the desert. The lyrics of Stephen Malkmus were a subliminal roadmap for my image making. At times abstract, at other times bitingly critical, these words (and songs) were a great inspiration for my journey. Secondly, as the social / political landscape in the USA continues to shift (or spiral out of control) I think it is a good time to assess the expiration date of long held beliefs, to look at the impermanence of man-made things, a time to ponder hope vs. pessimism, while being as good a moment as any to reflect on the idea of hubris. As always when I shoot film, the excitement of not knowing what I've captured until much later is a re-connection with the original allure photography has held for me. The editing and layout process allows for a focused amount of time with the images, and by having the final results in printed form, I am returning the permanence that photographs once held, but is too often overlooked in our digital present. You can view the work in a new gallery on my website as well. 2017 has been a very productive year for me, creatively speaking. One of the areas I've been focussing has been self-publishing. With the availability and affordability of print-on-demand services like Magcloud and Blurb, anyone (yes...even you!) can easily publish their own book or magazine. The project I'm discussing here is a series of photos I created in 2015, while on a residency in Portugal. The town of Fatima is a well-known Catholic pilgrimage site. It is also a location rife with photo opportunities. I was happy to have spent a few days shooting there, and the series of images have finally ended up in printed form. I worked on the images and sequencing much longer than on any other recent project, and I am very satisfied with the final result. As I have been very fortunate with the support I've already received for my self-publications, I have been marketing the Fatima 'zines in a much more subdued manner. However, if you would like to order one, I do have a handful of copies available in my online shop. And since I realize many folks would like to see some samples of the zine before considering a purchase, I'm sharing some spreads below. As 2017 draws to a close, I am glad to be able to put this project out into the world, since I have several new projects already brewing for 2018. 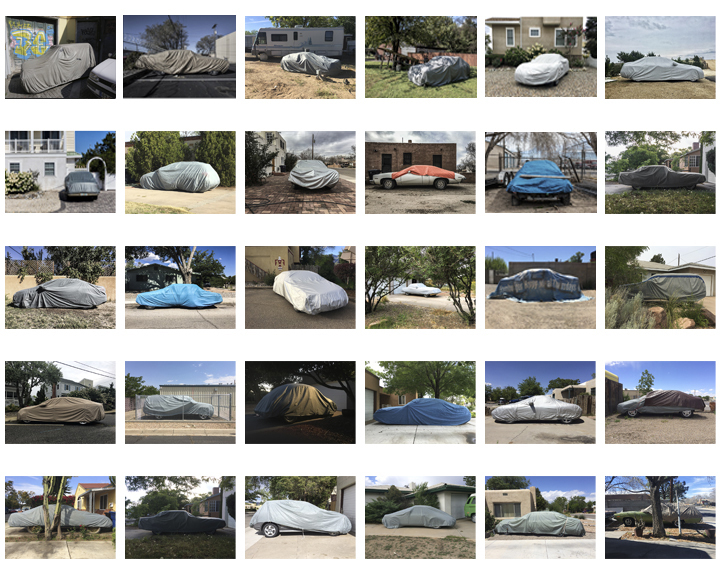 If you are in the Albuquerque area this weekend, I cordially invite you to see my series "Covered Cars" which will be exhibited at Rocky Norton's Artspace, at 1407 4th Street SW. This is a three day only, pop up event. I will have thirty framed photos on display, available for purchase at a special price of $50 each. I will also be selling a limited edition, signed zine of the series, for the price of $5 each. Hours for the event will be Friday evening, from 6 pm to 9pm, and both Saturday and Sunday afternoons from 12 Noon until 4pm. 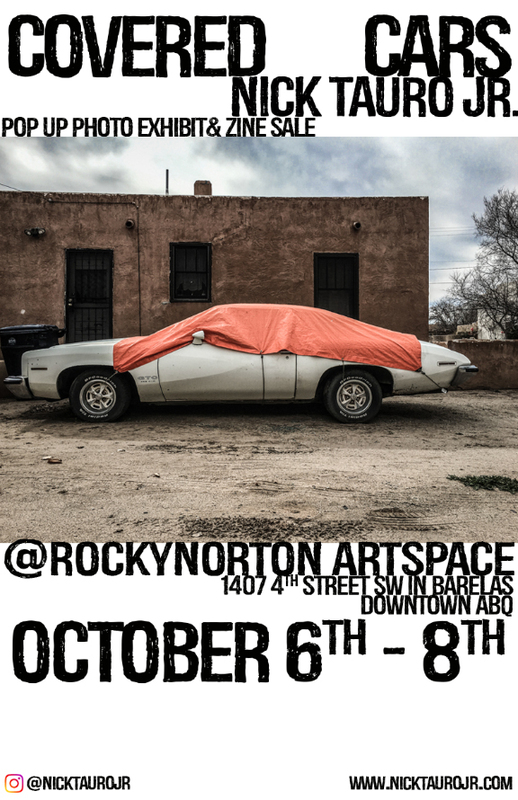 I am grateful to Rocky for opening up his studio space for this event. I hope to see you there. New publication available now sold exclusively via MagCloud. I am pleased to announce the launch of a new 'zine series called "Flaunt The Imperfections." The premier issue features my work, shot over an extended period of time in early 2017, mostly in the area of Marfa, Texas and the environs of New Mexico. 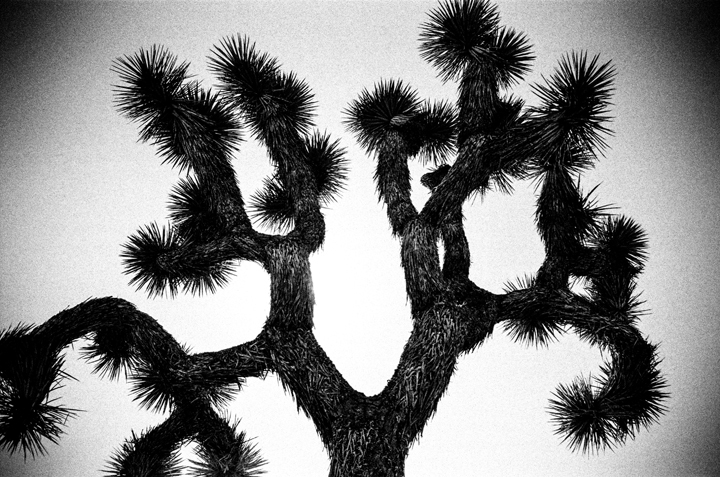 All photographs were shot on film, and the resulting images highlight the grain, textures, and "flaws" inherent in the medium. It is a 32 page, 8 inch square, perfect bound publication. It is my intention for this 'zine to be published several times a year. I plan to retain the design and layout duties, but will use this as a platform for collaborations with other photographers shooting on film. The price of the new 'zine is $12.50 (plus shipping) and is ONLY available for purchase through MagCloud. Click the link below to make your purchase today. The premier issue of a new 'zine series, featuring the work of Nick Tauro Jr. This publication celebrates the grain, textures and intrinsic imperfections found in film-based photography.